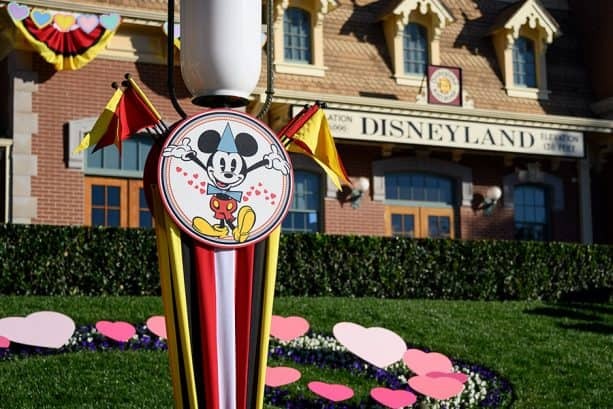 February is the month of romance so forgo the typical roses and chocolates and head to Anaheim to celebrate the most romantic day of the year − Valentine’s Day at Disneyland Resort. We have some great tips on how to spend February 14th with the one you love, Disney-style. 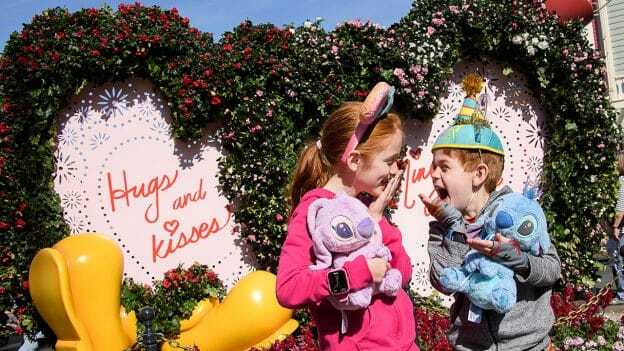 Guests can also enjoy the new a “sweethearts” photo moment in Town Square! This year you will find a new flower portrait greeting you along with more festive decor along Main Street, U.S.A.
Disneyland Resort adds a little extra on this special day to several of the sit-down restaurant menus. If you plan to take your loved one to the Resort for a celebratory meal, make your Disney Dining reservations ASAP up to 60 days in advance. This is at your fingertips with the Disneyland Mobile App. Disneyland Resort’s Napa Rose is of the highest excellence in dining experiences. Award-winning Chef Andrew Sutton offers a four-course Wine Country Valentine’s Day special on February 14th for couples. This location was voted one of the best 2017 Valentine’s Day venues in Orange County. Steakhouse 55 will is a great place to enjoy a meal with your date. This popular restaurant has great food and even better ambiance. Carthay Circle Restaurant is the best choice for fine dining in California Adventure. 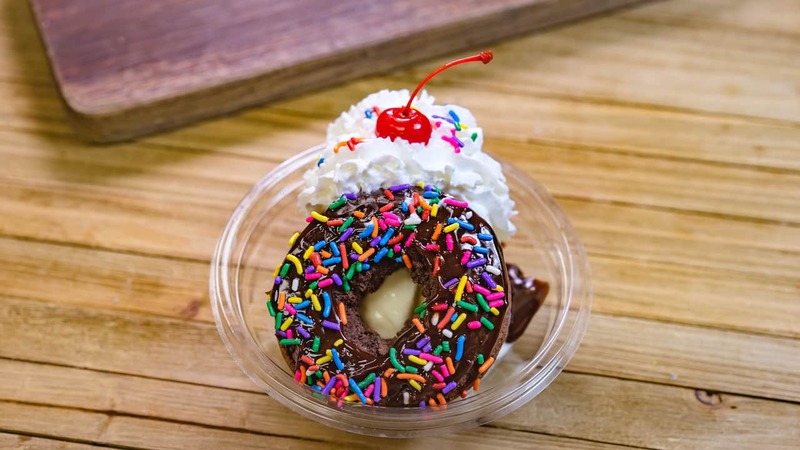 We highly recommend this as a date option! 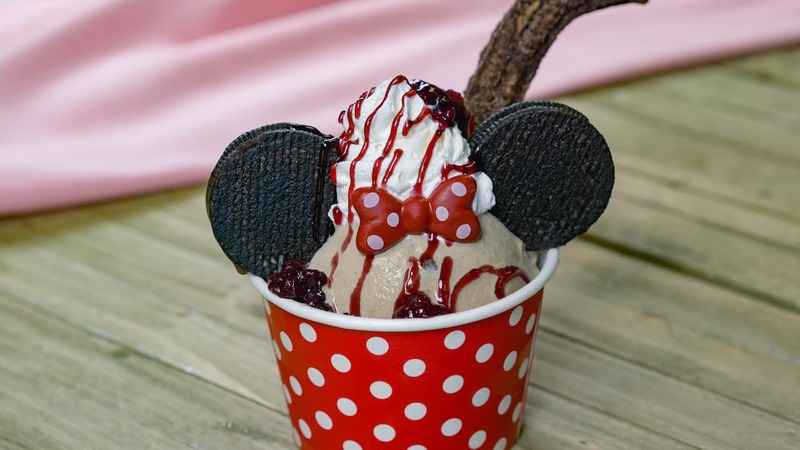 Visit New Orleans Square’s Blue Bayou Restaurant for your Valentine’s day meal which includes two specialty added items for Valentines Day: Strawberry Beet Salad and Pillow Cake Dessert – Pabana mousse with salted caramel pot de crème center. The Blue Bayou is by far the most popular fine dining option in Disneyland. River Belle Terrace will have a holiday treats: Southern Pork Belly Sliders – Sticky sweet and fiery-glazed pork belly sliders on toasted brioche buns with fresh sliced jalapeños with house-made pickle chips along with Chocolate Lava Cake with passion fruit sorbet and passion fruit sauce. Rancho del Zocalo Restaurante will have a Valentine’s Day meal as well: Molcajete Platter – Chorizo sausage, carne asada, shrimp, cebollitas, serrano, nopales, and Oaxaca cheese with salsa roja and warm tortillas and dessert will feature Chocolate Tamale with espresso whipped cream and cherry compote! Bengal Barbecue will offer a Piranha Lemonade Slushy – Mango and pineapple lemonade with lychee and pomegranate popping pearls and Roasted Vegetable Spring Roll – Roasted Portobello mushrooms and red peppers, pickled cucumbers, baba ghanoush spread, zucchini noodles, fresh mint, fresh basil, and toasted sesame seeds served with harissa sauce. 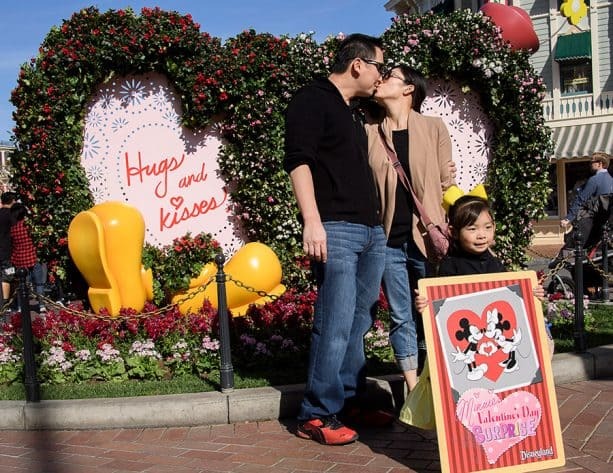 Don’t forget to document your Valentine’s Day at Disneyland Resort with your loved one. 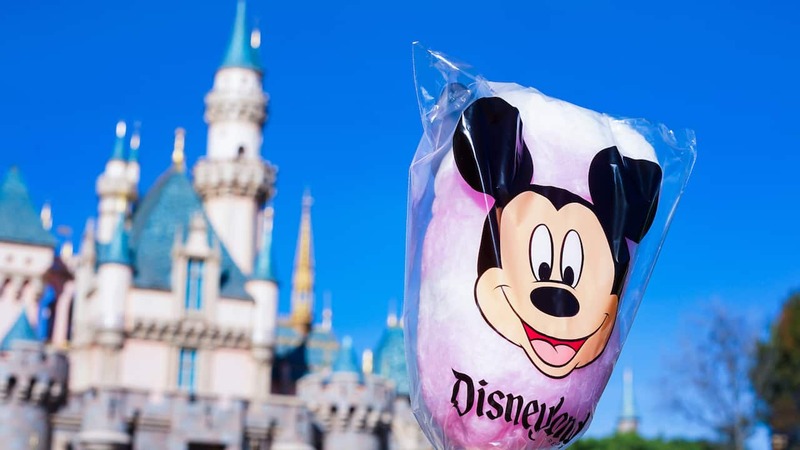 There are several options from which to choose including taking your own selfies in front of specific locations or utilizing Disneyland Resort’s PhotoPass System. This year Disneyland has added a special photo op on Main Street U.S.A. to commemorate your special day. 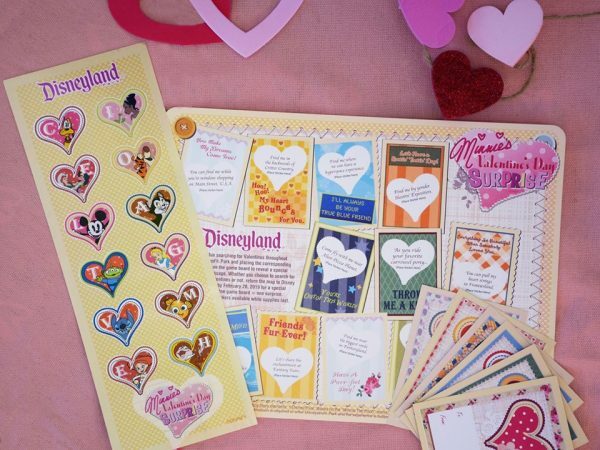 You can also look for romantic backgrounds to memorialize Valentine’s Day at Disneyland Resort. Read Disney Dose’s Instagram Guide article for some fun options including the “Happily Ever After” wall inside Disney Animation Building in Disney California Adventure Park. This is the go-to background for date nights, engagement announcements, and even marriage proposals! Or, for a whimsical tour, plan a few meet-n-greets with character couples. Most are located in Fantasyland so check the entertainment guide on the Disney Mobile App to find Jasmine and Aladdin or Belle and Beast for a magical addition for your photos. If you’d rather let someone else take the photos then explore purchasing PhotoPass through the Disney Mobile App. This option offers photographs from attractions, character meals, specified photo locations, and MagicShots which add in character enhancements. PhotoPass can be purchased separately or through MaxPass which also includes FastPass digital options. And what would Valentine’s Day at Disneyland Resort be without attractions? Of course all the attractions are magical when you’re with your significant other. Most of the attractions are set up so couples sit next to each other so opt for these. If you want to sit close together in the dark, consider what Disneyland Resort describes as “dark” attractions meaning enclosed, secure in a vehicle, and traveling through elaborate scenes all usually in the dark. Thrill Attractions to Hold Hands and Scream with Your Date! For a more adventurous date with your Valentine, hold hands and get ready to scream with excitement! If romance is on your mind for Valentine’s Day at Disneyland Resort then look into some of the Resort’s slower attractions. For some couples’ activities for Valentine’s Day at Disneyland Resort, think outside the parks. Take the time to relax after a busy day park-hopping by indulging in a couple’s massage at Mandara Spa at Disney’s Grand Californian Hotel and Spa. This customized massage allows you to spend quality time in a special suite reserved suite for the two of you. Call to make reservations ASAP. After you relax, head to Downtown Disney District to test your bowling skills at Splitsville Lanes. After bowling on one of the 20 luxury lanes, grab a seat nearby on the covered patio to enjoy some live entertainment. Be sure to order from the crafted cocktails and sushi menus for a complete Valentine’s Day date. 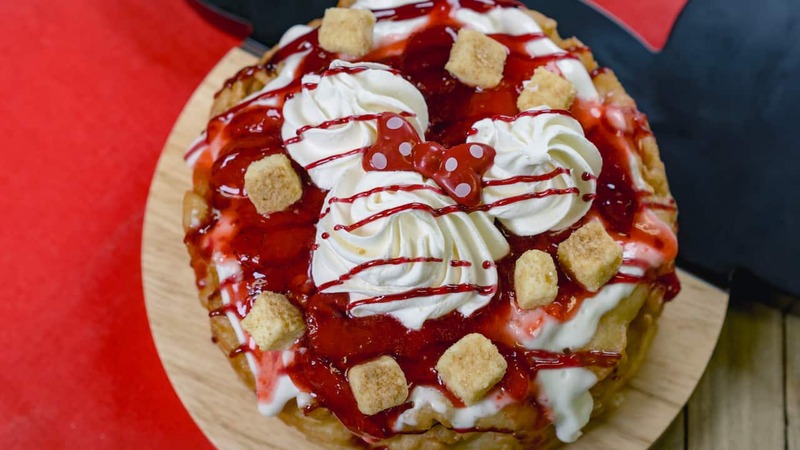 Ready to Enjoy Valentine’s Day at Disneyland? Whether you’re celebrating a romantic day at Disneyland Resort or plan to visit for a long week, be sure to sign up for our Mickey Visit newsletter. Our tips and guides will help you achieve the best Disney vacation yet.